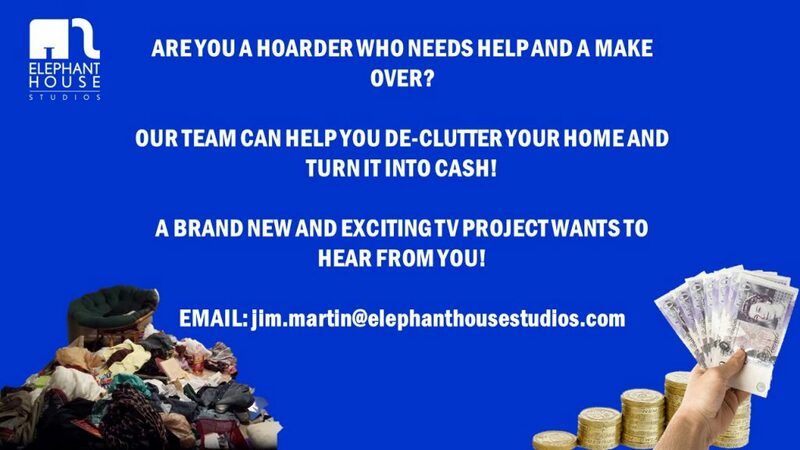 Are you a hoarder who needs help and would like a home maker over? Our team could help you to de-clutter your house and turn it into cash! We are looking for couples and families to take part in a brand new and exciting TV project. For more infomation get in touch now.